CHOY-FM is a Canada-Based FM channel broadcasting in French in Moncton, New Brunswick at 99.9 MHz. Maritime Broadcasting System is the owner of the CHOY, and the branding of the channel is Choix FM 99,9. On August 24, 2000, Denis Losier got approval from the Canadian Radio-television and Telecommunications Commission for a French Channel. Then in the next year, 2001, the CHOY went on the air for the first time with the Adult contemporary. On February 21, 2006, Maritime Broadcasting System was authorized by the CRTC to acquire the rights of the channel from Radio Diffusion Acadie Inc. Later on, the format of the Choix FM Moncton, NB was changed to the country and the catchphrase as “L’Acadie country“. The call-sign drives from the branding Choix, which means choice. CKCW and CFQM are the siblings of the Choix Moncton. Just hold on just for a few moments as the online auto-stream of the CHOY 99.9 will take only seconds to play. Moncton-based inhabitants can enjoy the best numbers of the country music by tuning the 99.9 MHz frequency on the radios. 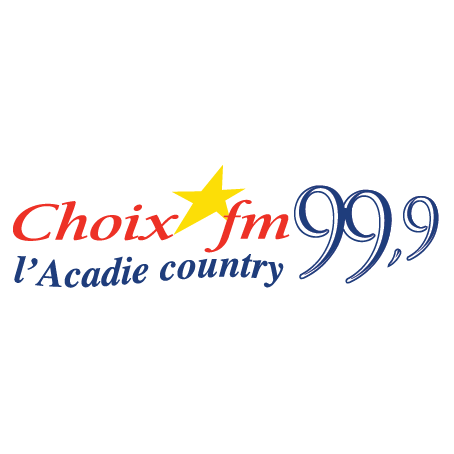 The online fans can listen live CHOY-FM 99.9 Moncton, NB online streaming from the official site. From the official website, you can also check out what’s on air, now playing, playlist and the next song. One can also navigate to the contest tab to participate in the different contests and win prizes. The visitors can also explore the list of the recently played on Choix 99,9, New Brunswick. Events can also be seen on the website.